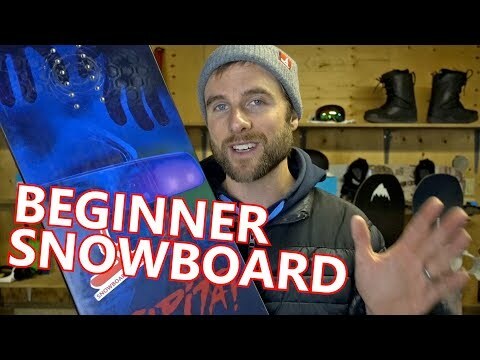 An ultimate guide to snowboarding for beginners and everyone else. 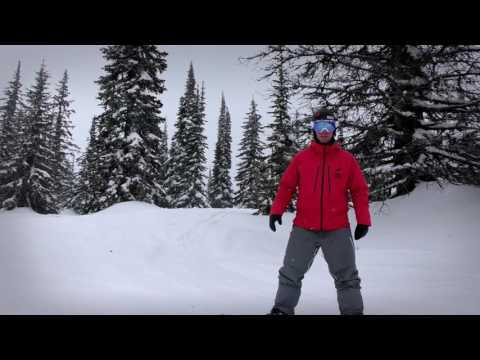 What is it about snowboarding that can change your whole life? How can sliding down a hill on a piece of wood become a lifelong passion? 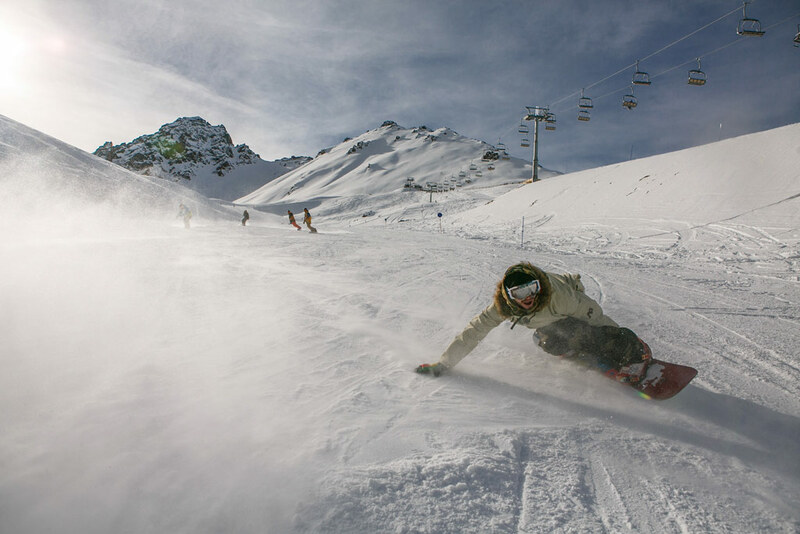 In this article we will take a thorough look at snowboarding. 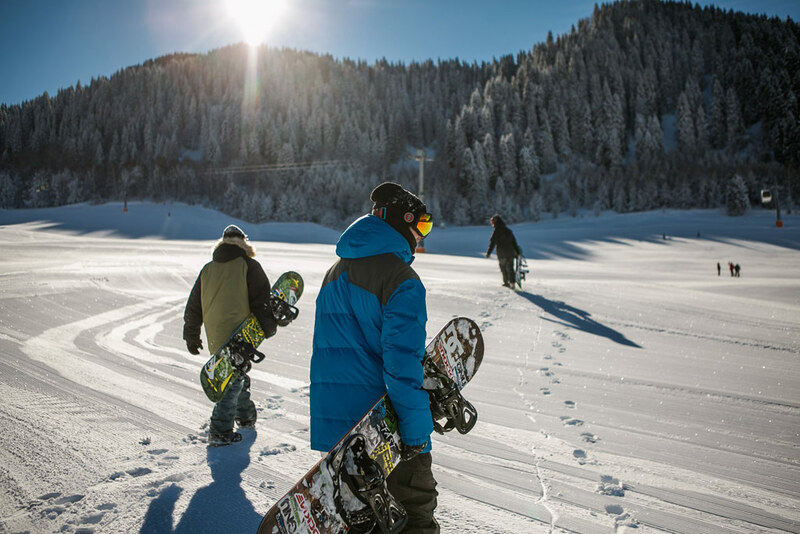 Whether you are just thinking about trying it for the first time or you already have some experience behind you, we will equip you with a lot of knowledge and practical tips to help you on your snowboarding journey. There is much more to snowboarding than we realize just by looking at someone riding on a snowboard down the slope. Snowboarding can resonate with the geek inside us because it has gadgets, it requires systematic approach to our own progress and it provides a lot of satisfaction and fun we typically find in the creative process. First, we need to pick up and set up our snowboard equipment. There is a lot of tech involved in modern snowboarding, countless variations we can review and decide about. Let’s face it, we love getting new stuff – new gear we can play with, comparing it to the old one looking for any tiny impact it can have on our experience and performance. 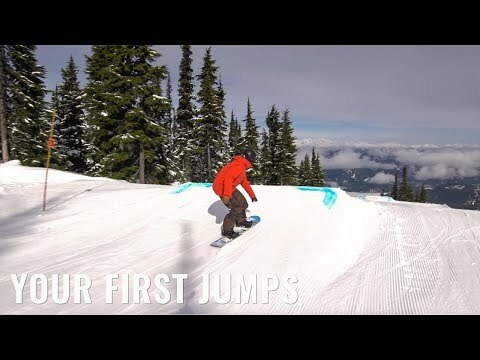 Snowboarding is a very technical sport. Even when you master its basics, there are many paths you can progress down and a lot of things to learn. Don’t get comfortable with what you already know, you’ll miss the satisfaction that comes from learning new things. Combine your carefully selected setup with your progress challenges and have endless fun on the slope. Your way of riding creates your own expression and experiences. Laid down carve. Surfing pow. Feel of the stomped trick. Riding with friends. You and the mountain. If we have been looking for the roots of snowboarding, there probably isn’t an older documented case than the tradition of riding boards in the village of Petran, Turkey. They have been snowboarding for over 300 years, as the following excellent film documents. There isn’t any evidence that Petran snowboarding had influence on development of modern snowboarding. 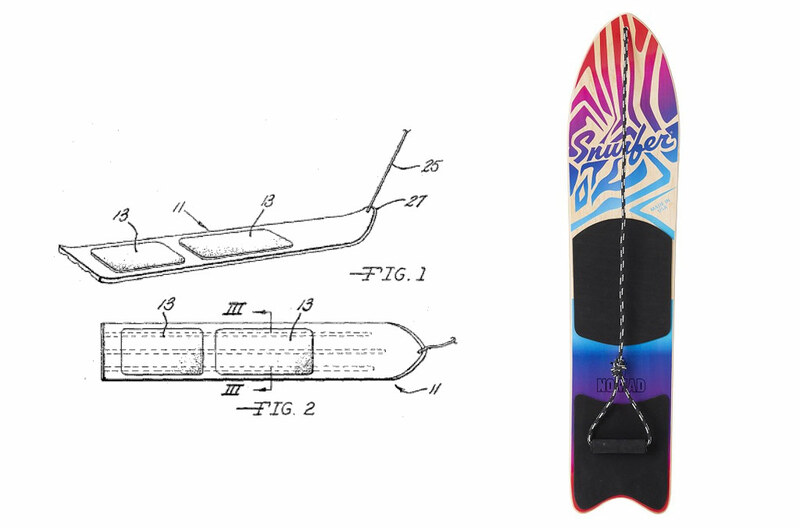 Independently, but not unlikely in the result, its origins date back to early 1960s in the USA when Sherman Poppen created a predecessor of the snowboard, called the “snurfer”. As the name suggests it was inspired by surfing. Check out A Brief History of Snowboarding if you are interested in how snowboarding has boomed (and then downturned) since then. The main difference between snowboarding styles is defined by the boots snowboarders use. 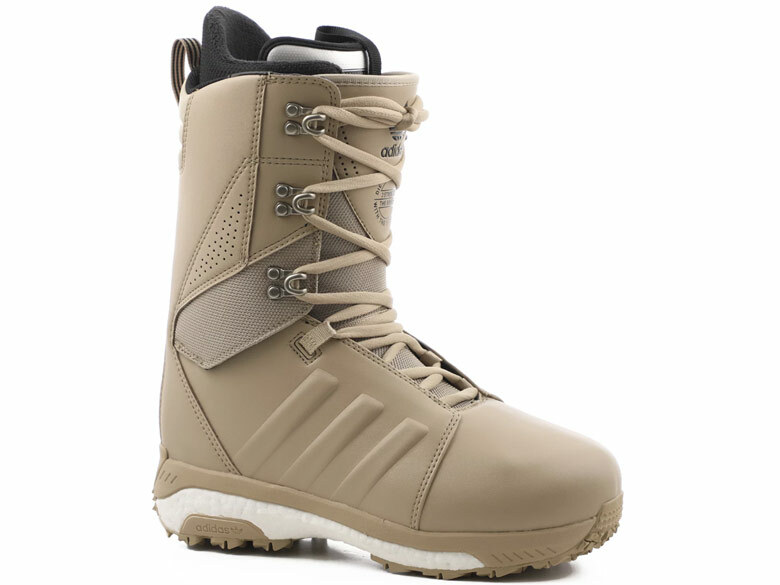 Hardshell, ski-like boots, are mostly associated with alpine snowboarding and carving. They are also used in racing and parallel slalom. Alpine snowboards are typically narrower and longer and the stance uses big positive angles. Since the majority of snowboarders ride in softboots, sometimes they may give alpine snowboarders weird looks. With a recent renaissance of carving in mainstream snowboarding, there is no reason for such rivalry. The fact is that while carving in softboots is perfectly possible, the hardboots and alpine snowboards take it to the next level. Riding in softboots is the most common way of recreational snowboarding, and unless you know what you do, we recommend starting in them too. The rest of this guide will focus on riding in softboots as it’s the most versatile form of snowboarding. 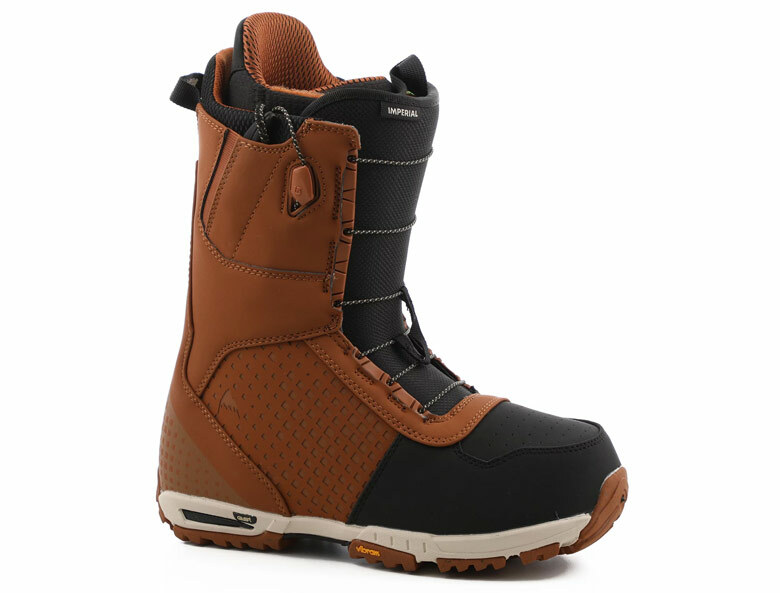 Soft boots can be used for all different snowboarding styles like carving, freestyle, freeride. We will take a closer look on these styles in Where to progress section. Softboots is a synonym of freedom associated with snowboarding – walking freely, without heavy skis and clumsy poles. 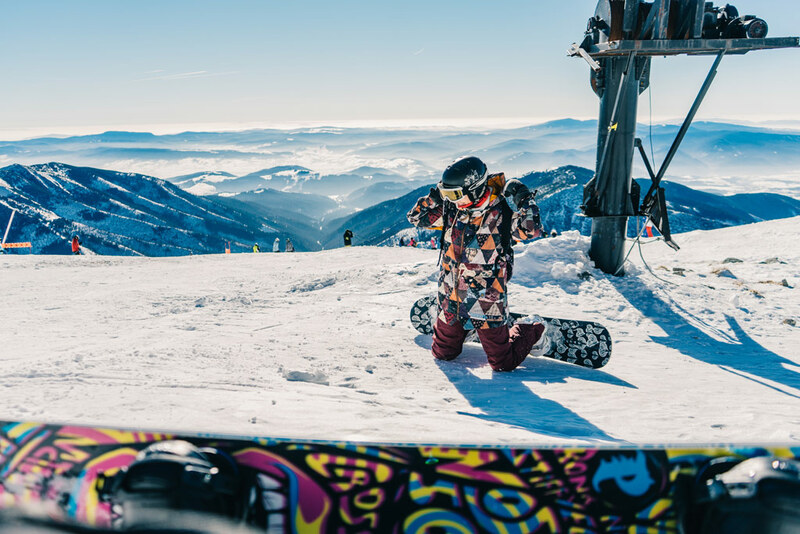 Properly chosen and set up snowboard equipment can significantly improve your experience and speed up your progress, that’s why we explain some key features in this section. Proper snowboard equipment can make or break your day on the mountain. Snowboard profile refers to how a snowboard looks like when you view it from side. The center of the snowboard with camber profile is elevated which creates bigger pressure on the contact points (the points where snowboard touches ground) when you stand on the board. The results is more stable ride, more pop for ollies and rebound in turns. 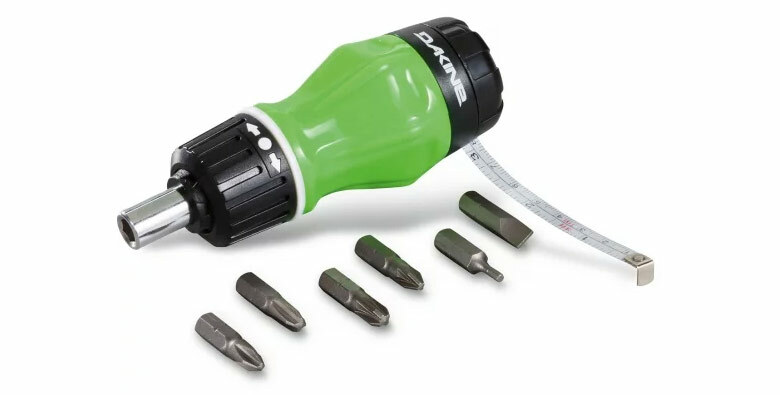 On the other hand it’s easier to catch the edge on it and it doesn’t float that well in powder. Rocker snowboards have reversed camber profile and they float better in powder. Usually they are also easier to press when doing butter tricks. They are more forgiving so you are less likely to catch the edge on them, especially if you are a beginner. However, their edge hold is not as good as in camber boards. Flat snowboards are completely flat when lying on the ground. They can be used for variety of riding styles, often they are used for park riding. Hybrid profiles combine camber and rocker in certain ways. 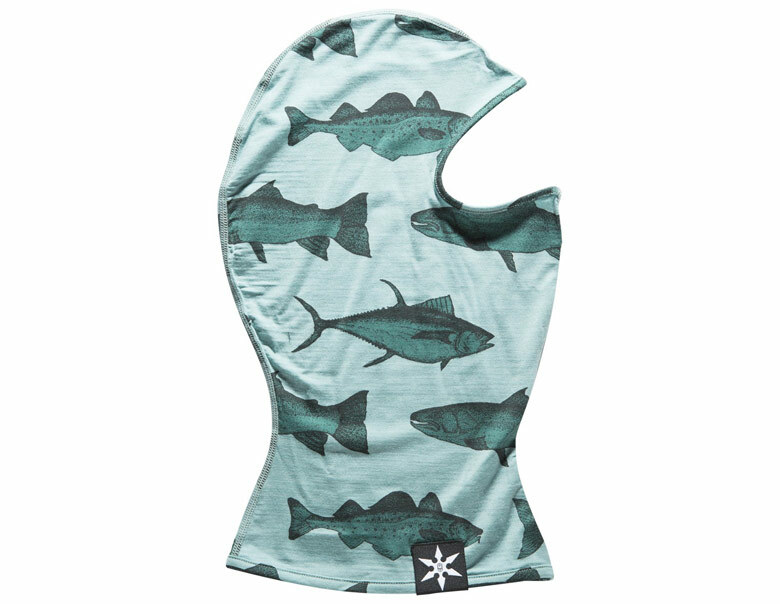 For example, CamRock shown above uses camber under the feet for greater stability and pop and rocker at the nose and tail for more catch free ride and float in the powder. Another variation is RockCam with rocker between the feet and camber under the bindings. There are other profiles like powder specific S Rocker. For more information on camber profiles check out this BoardWorld post. Snowboard shape specifies how the snowboard look like when you view it from top. Snowboard with twin shape has the same nose and tail and rides equally well in the both directions, so it is a good choice if you want to learn riding switch or do freestyle tricks where you often land switch. 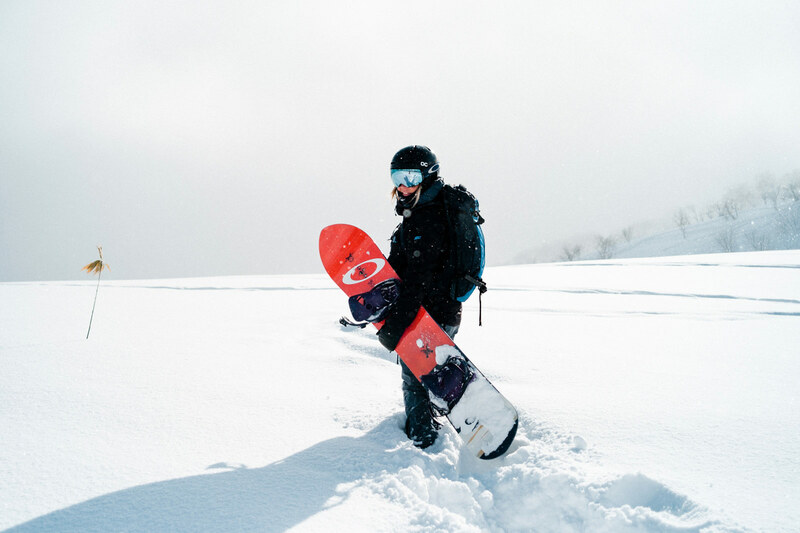 Directional snowboards typically have a tapered shape, a wider nose and narrower tail, they ride better in one direction and also float better in powder. Directional twin has the same shape of nose and tail, however the flex is stiffer in the tail. Check out this Whitelines video for more information on snowboard shapes. Flex defines how stiff the snowboard is. It is usually rated on 1 to 10 scale with 1 being the softest and 10 being stiffest, with the majority of models falling into the 3 – 7 range. Stiffer boards are typically used for freeriding and carving, while softer for freestyle. 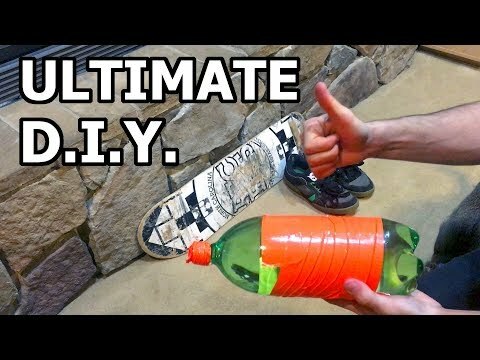 A stomp pad is a piece of foam or plastic you can glue to your board between the bindings – it will help you to ride your board with one foot strapped in, eg. when you get on and off the lift. Stickers are a nice way for some creative expression or preference for certain brands. If you are a complete beginner, avoid extensive sticker job on your snowboard. You probably don’t want to catch more attention than necessary when you are just struggling with the first moves. Speed laces boots are easy to put on and take off and allows you to adjust fit for the upper and bottom part separately. The boots shown above are Burton Imperial. 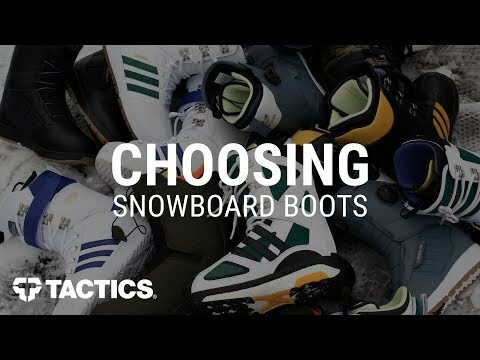 Check out How to choose snowboard boots guide by Tactics for more information. 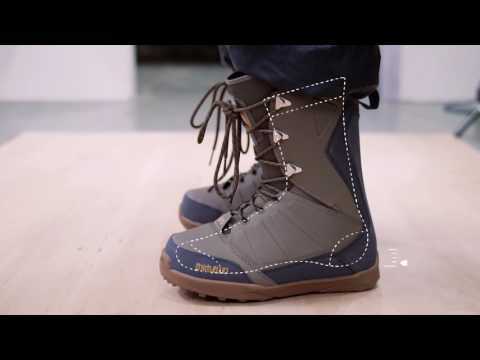 Proper boot fit is crucial for your comfort and performance on the snowboard. Snowboards boots should have a snug fit, which means that your toes should lightly touch the front of the inner liner when you stand straight. When you stand in the snowboard stance, your toes move backward a bit. Your heels should stay locked in place. Don’t forget to try out the boots in the socks you will use for riding. If your shop offers such option, have your boots heat molded after the purchase. 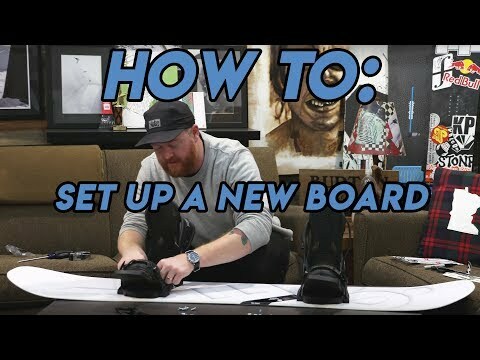 If you struggling with getting proper fitted boots you can also look for an advice in Snowboarding Forum. 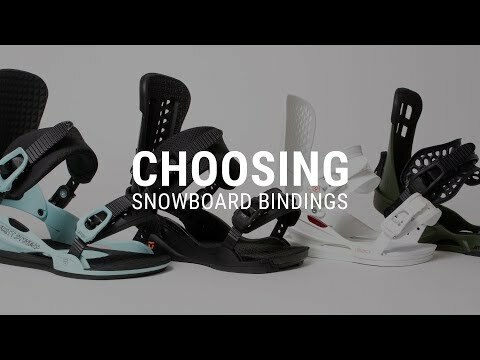 Similarly to snowboards, bindings are categorized according to their intended use to all-mountain, freestyle and freeride categories. 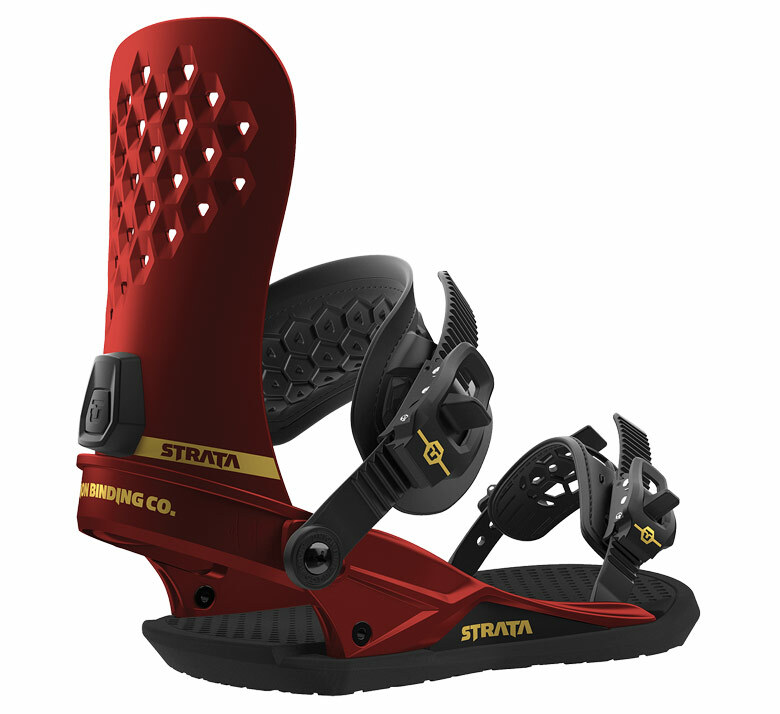 Freestyle bindings are typically softer and freeride stiffer, with all-mountain category in between them. 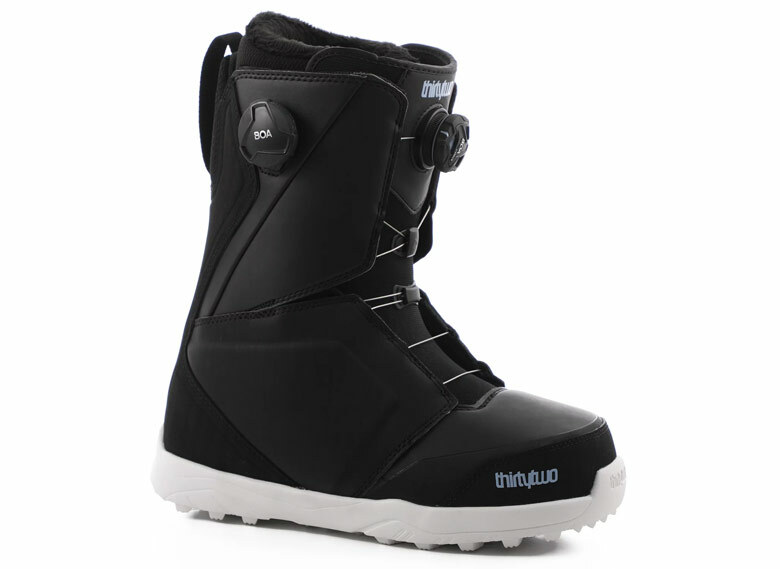 Because snowboarding bindings translates movements from your boots to snowboard, they need to fit your boots well. 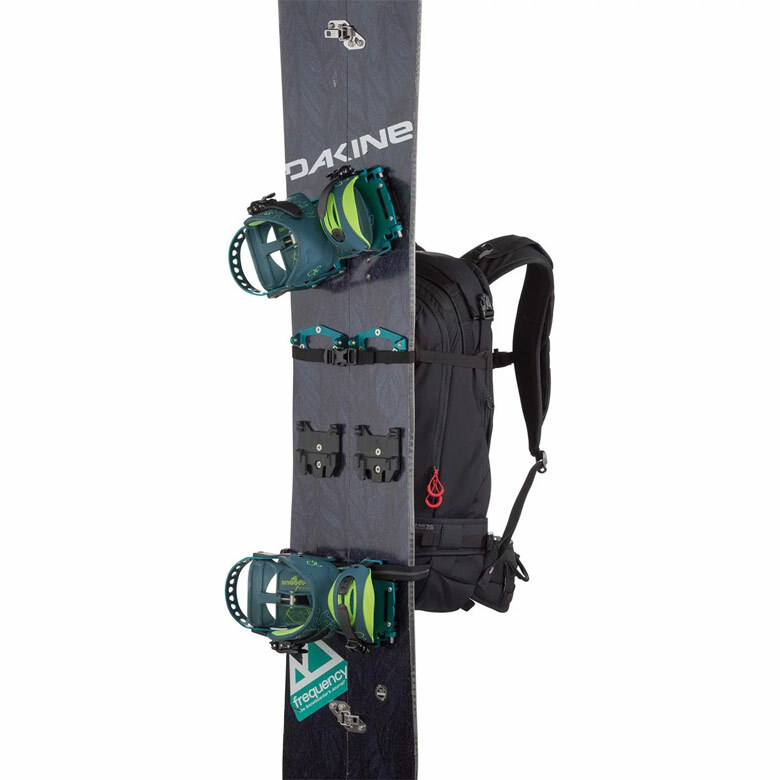 The bindings are sold in different sizes (typically S/M, L/XL). Check the manufacturer sizing chart for the proper binding size for your boots. 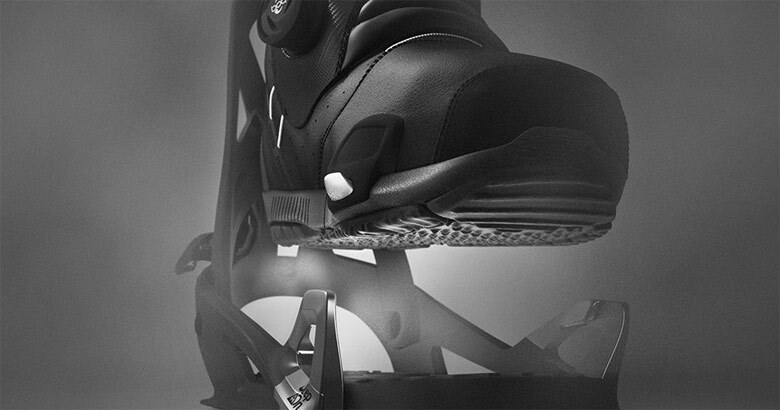 The latest development in bindings technology is Burton’s Step On, which removes necessity of strapping in and off the bindings. Burton Step On is a combination of strapless bindings and special boots. 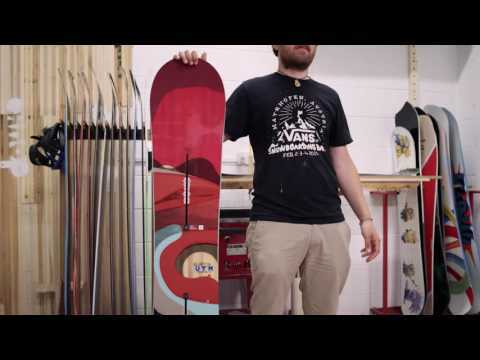 Check out this video for more details on binding setup. When it comes to insulation, a good compromise for resort riding is a light insulation in the jacket. 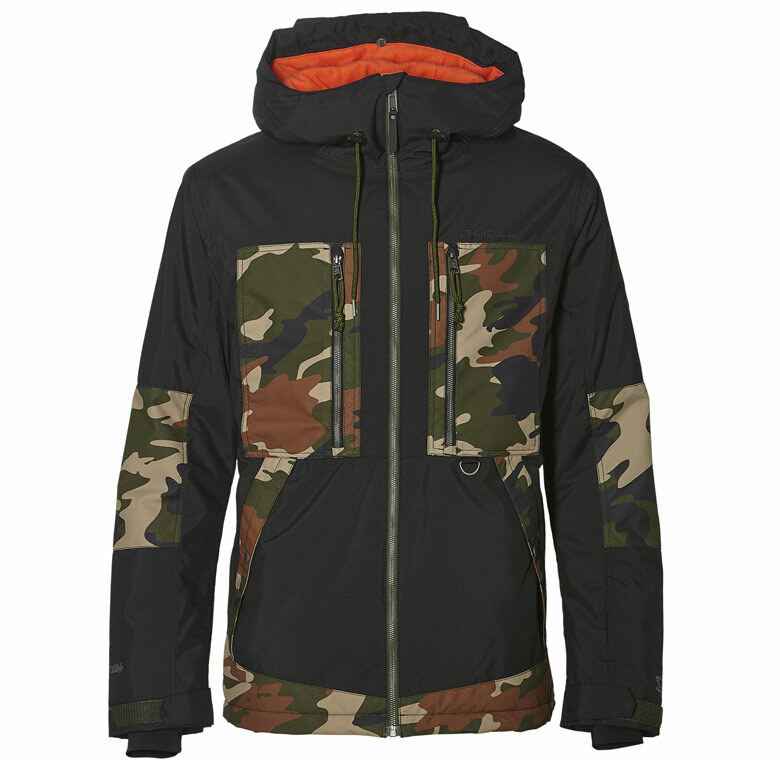 For freeriding technical, non insulated jackets are a better choice. Especially as a beginner you may sit on ground more often so pay attention to choosing quality pants. Snowboarding jackets should have a powder skirt inside, which prevents snow from getting to your waist and can be attached to your pants. 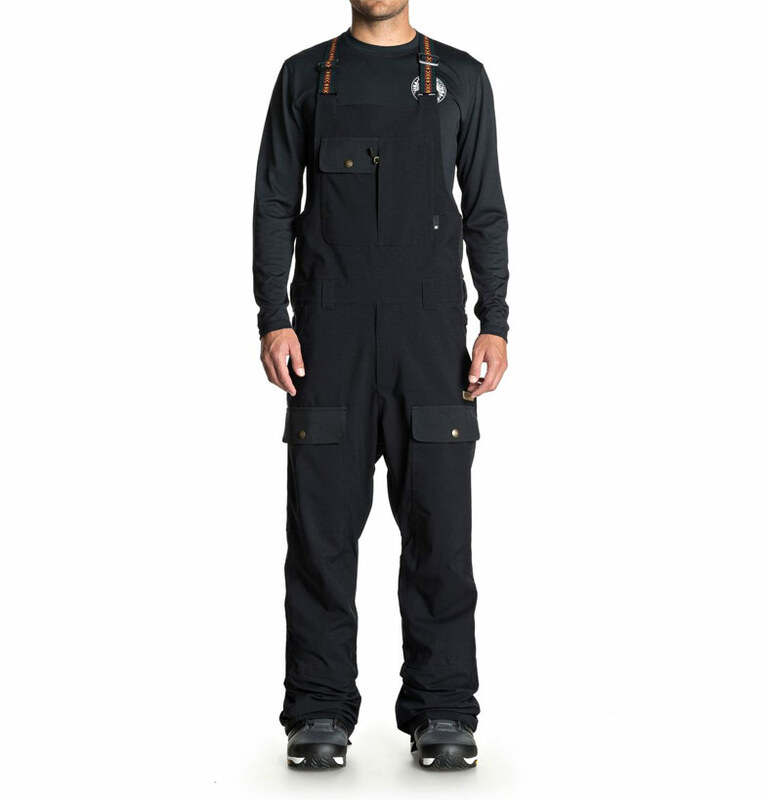 Volcom offers a patented jacket-to-pant zip feature. A good alternative are bib pants because they provide a good protection against snow and also allow free movement of the waist. Choose the fit you like but ensure that any protective gear you use fits under it. As a beginner you might want to pick standard to loose fit for freedom of movement. What can feel a bit baggy and oversized doesn’t feel like that much when riding. This is especially true for the pants which need relatively big leg openings to fit over the boots. Also make sure that your pants are long enough even when you squat. Check out Evo’s guide on outerwear fit. For gloves you have two options – mitts and gloves. 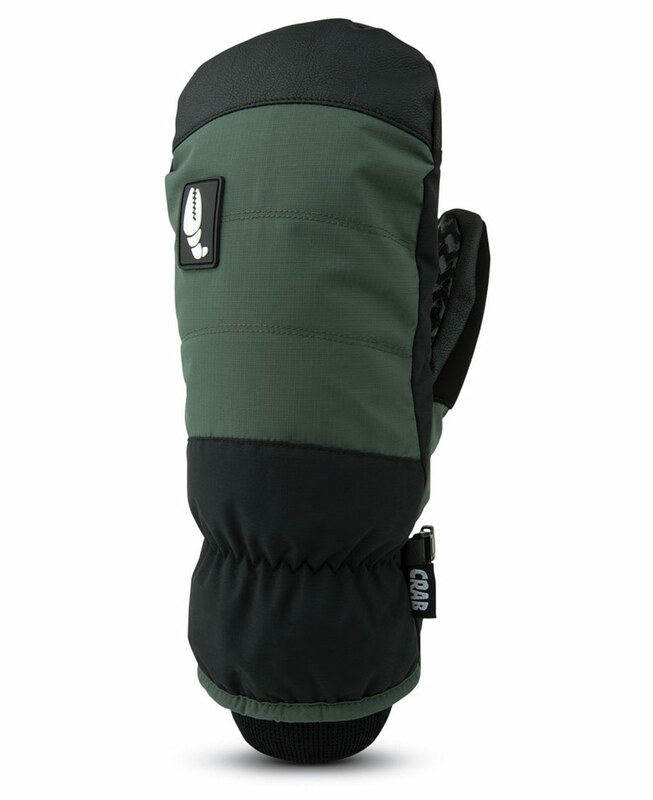 Mitts are more popular among snowboarders as they will keep your hands warmer. They may make it a bit harder to operate things like your zips or bindings buckles, though. Ensure that your gloves are easy to take off and put on, especially if you plan to use wrist protection. If they go under your jacket sleeve check out that your sleeve has enough room to fit them under. The base layer should be from functional material to keep you warm and dry. You can try a one-piece bottom layer for extra warmth. 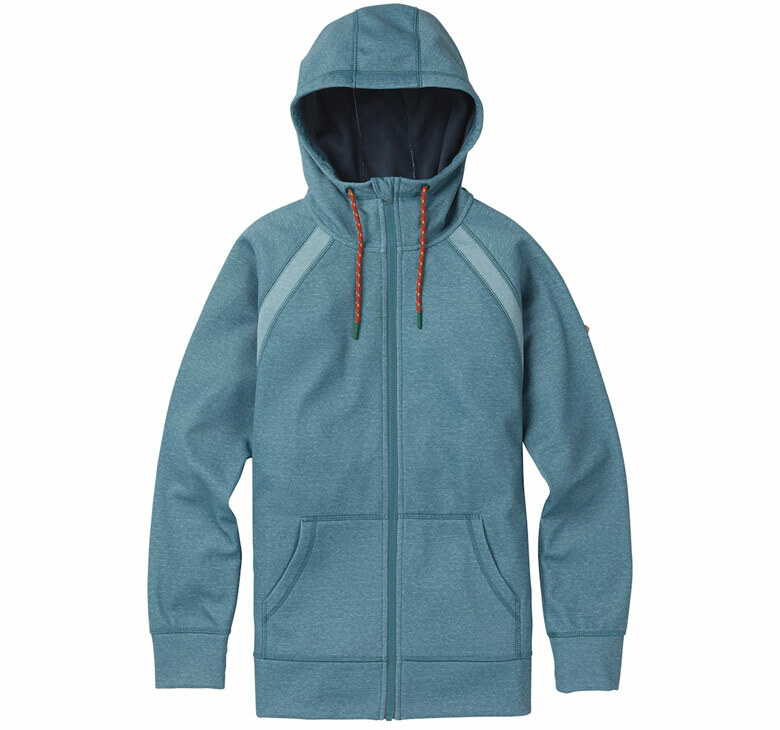 Depending on whether your jacket is insulated or not, you can pick up a hoodie or inner layer jacket. 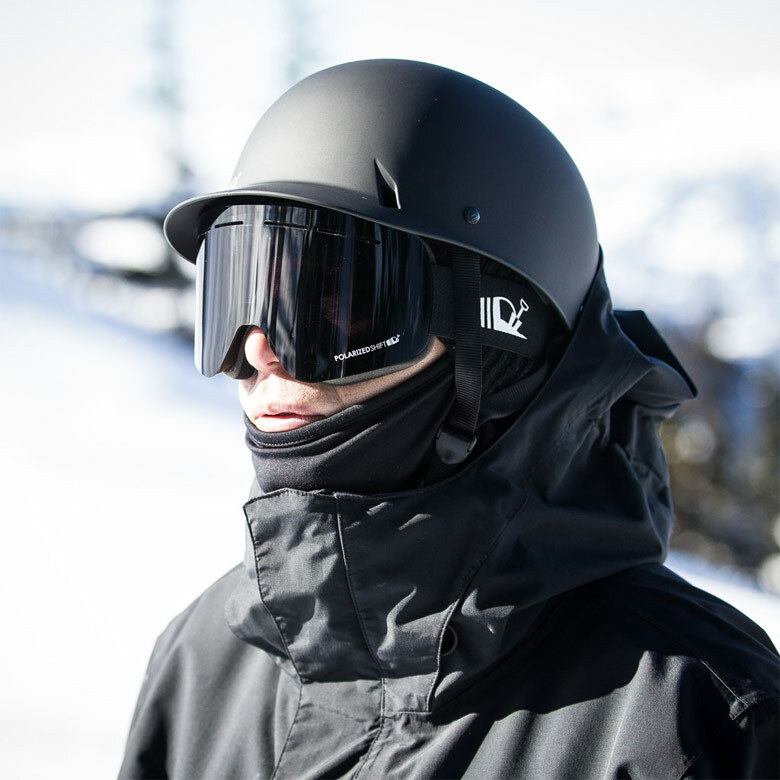 A facemask, balaclava, or neck warmer is a must on the snowboard. It will keep snow and wind out of your face and neck. Thinner socks can keep your feet warmer than thick socks, which tend to pack up in the boots and reduce blood circulation. 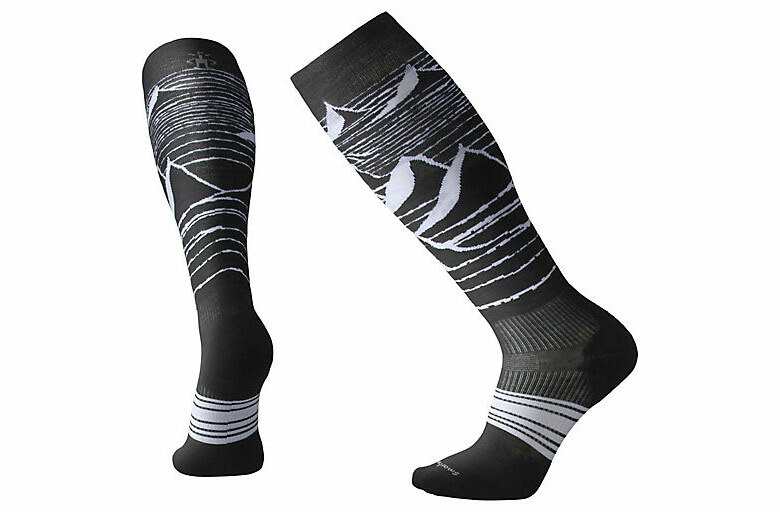 Choose socks from synthetic materials or wool (for example Merino Wool) which keeps warm even when wet. Goggles should offer a good peripheral vision and fit your face without any discomfort. They are often sold with two pairs of glasses – one for low light condition and another one for sunny days. A helmet is a must for a beginner on a snowboard. Catching the edge is one of the most common reasons of fall – slamming your head against the snow is not fun. If you don’t like the look of a helmet consider wearing your goggles under the helmet for a more stylish look. In any case avoid a gap between the goggles and helmet. Wrist injuries are quite common among snowboarders. When you fall down you instinctively try to reduce impact by using your hands – instead, try spread out impact by using your forearms (see Common mistakes in the next section for more details). 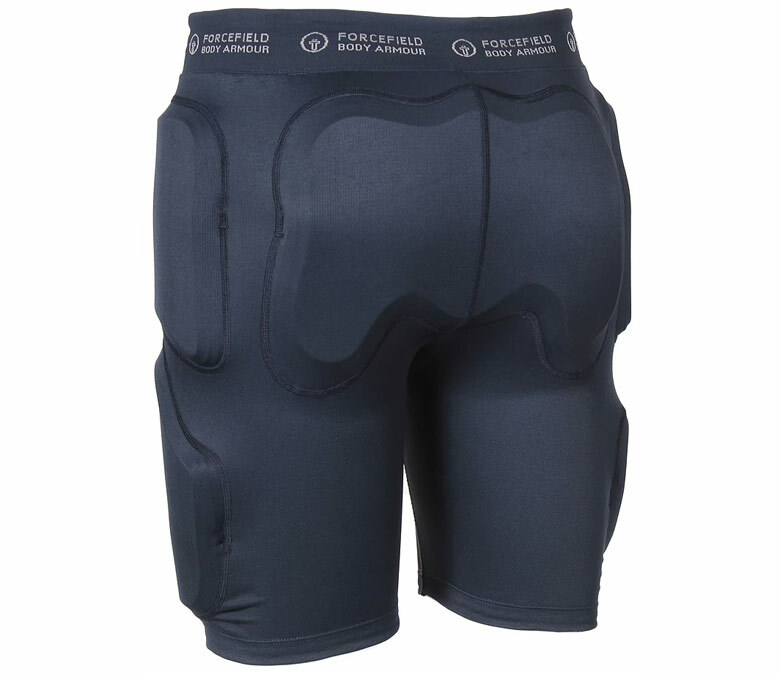 Impact shorts can come in handy, especially when beginning since you tend to sit more on the snow and falls on tailbone are more common. 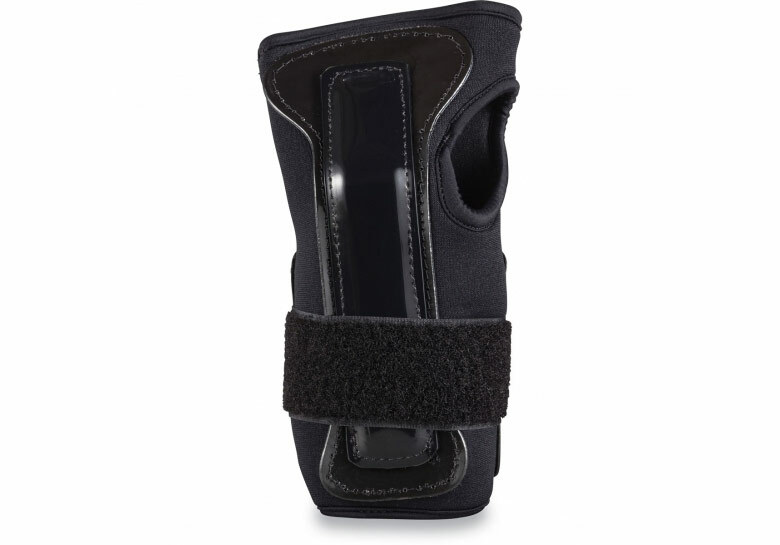 If you want to protect your knees in long run, consider buying aftermarket insoles with impact reduction. It’s much easier to learn to ride on a properly waxed snowboard. 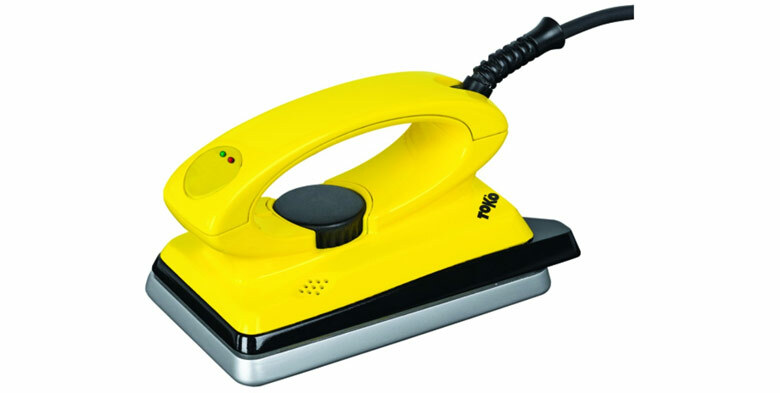 If you get your own iron like this T8 by Toko you can save on snowboard service costs. First things first, we absolutely recommend that you take lessons to learn how to snowboard. An experienced snowboarding instructor can make your learning process effective and safe. However, if for any reason you don’t want to or cannot take lessons, this section explains the typical process of learning how to snowboard. Even if you are about to take lessons, it’s useful to understand how the process works so later you can follow along more easily or train on your own after the lessons. 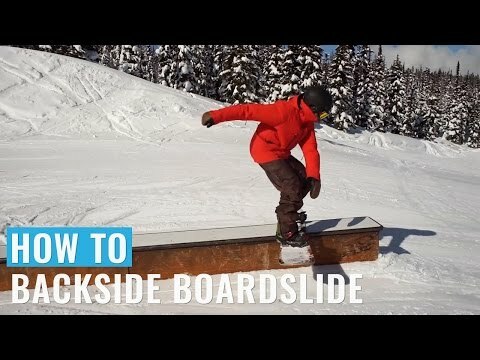 binding angles – the most common stance on snowboard is a “duck stance”. Your front binding has positive angle and the rear binding a negative one. This will allow you to ride more comfortably on switch (with your opposite leg forward) . It’s common to set up front binding with slightly larger angle on the front foot, eg. +12/-9, or 18/-12, but for beginning you can set up the equal angles. The most falls in snowboarding, especially when beginning, are caused by catching the edge. 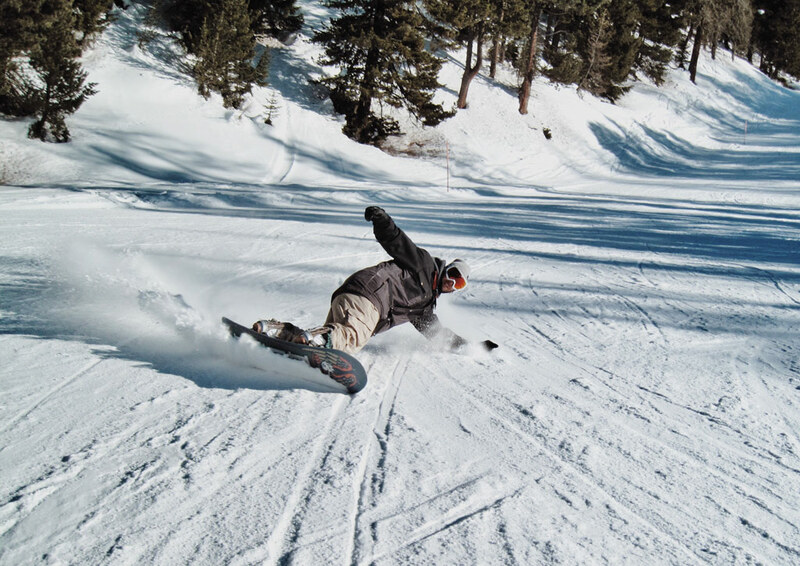 When your edge digs to the snow, your snowboard stops and the inertial force slams you to the ground – this can hurt! The painful truth is that many beginners learn to snowboard in circumstances that are very prone to catching the edge – on flat slopes. On a flat slope the edge opposite to the one you are trying to ride on is naturally very close to the ground and prone to digging into the snow, particularly because you haven’t developed a good control over the edges yet. The best way to demonstrate a typical learning process is on CASI’s QuickRide System. 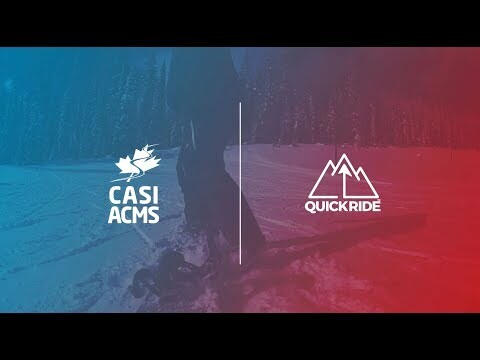 QuickRide is a system used for teaching snowboarding by CASI, Canadian Association of Snowboard Instructors. It’s the product of 20 years of experience, innovation and refinement and it provides the most comprehensive and fastest way of how to learn to snowboard. 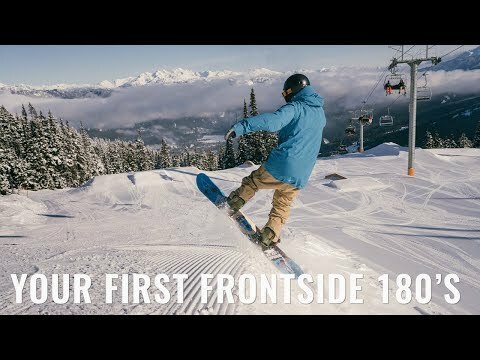 Contrary to what you might expect you will spend a lot of time practicing with just front foot attached to the snowboard in the initial lessons. This gives you an option to step out away from the board if you are about to fall or if you catch an edge. You can get familiar with QuickRide basic principles in this video. Next you progress to skating and climbing and descending with one leg attached. 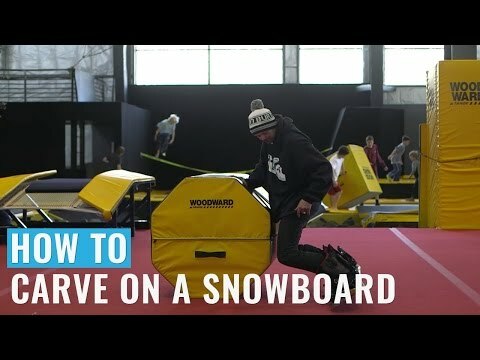 These skills are very handy when it comes to moving around with your snowboard and getting on and off the lifts. The goal of the sliding step is to become comfortable on the snowboard while it slides. You start on a flat area pushing with one leg and then putting the other leg on the snowboard. Next you progress to sliding on the snowboard on a flat slope. 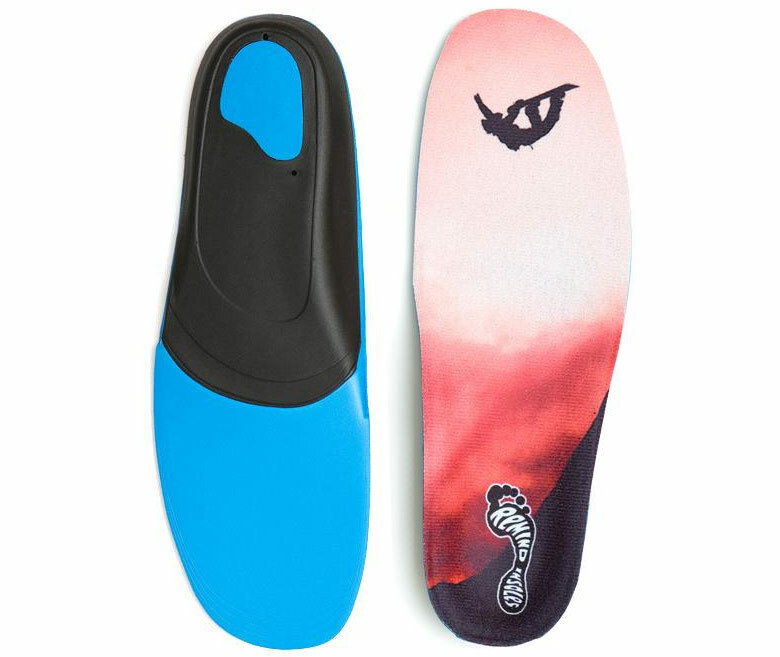 Finally, you practice turning the snowboard with toe and heel drag and J-turns with still just one foot attached. In the third step you learn to control both speed and direction with both feet attached to the snowboard. First, you try sideslipping with one foot attached and also changing direction this way. Then it’s time to attach board to the both feet for the first time. 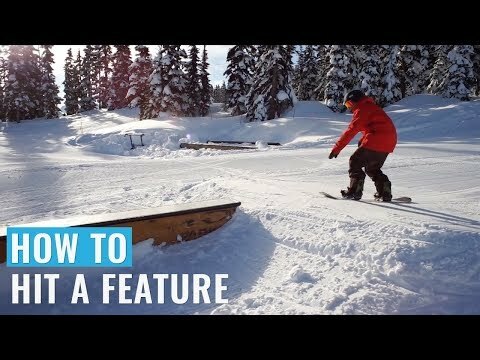 You learn how to create a platform in the snow so you don’t have sit down when strapping into your bindings. The goal of turning step, is to learn turning by changing edges in the fall line. This includes exercises like garlands, J-turns and finally beginner turns. In the final step of QuickRide system you will learn to explore mountain safely. You will improve your turns by adding traverse between them and learn how to flex and extend your position to better absorb terrain and control your speed. 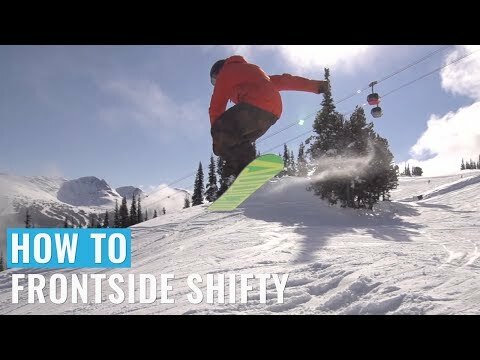 Around 60-70% of recreational snowboarders don’t ride with proper technique. Your observations may vary depending on where you ride. Whether this is a result of not taking lessons or not understanding the correct technique, the truth is that it’s very easy to develop bad habits which then may be hard to get rid of. Check out the most common mistakes on how to avoid them. 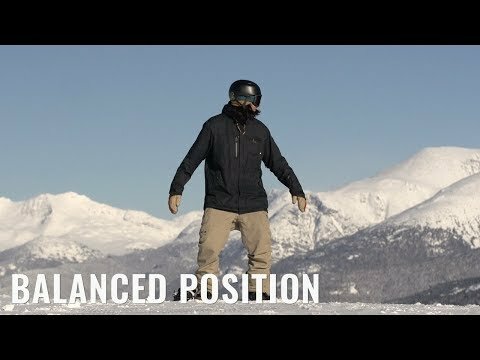 The following Snowboard Addiction video explains what a balanced position is and how you can practice it. The next video discusses another common problem – the straight legs. 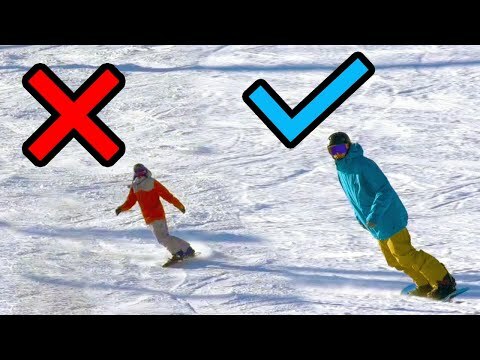 Counter-rotation has its important place in snowboarding but you need to use it for the right purpose, eg. speed checks or in freestyle where it’s a part of many tricks. Riding on a flat base means that you don’t apply any pressure to any of your edges and your snowboard rides just on its base. It’s very easy to catch the edge in such situation. Always try to apply slight pressure on one of the edges even when riding down the fall line on cat tracks. You only ride on a flat base when switching from edge to edge during the turns or in powder. You also ride flat base on boxes when doing freestyle tricks or when you training for them on the snow. One of the most common injuries in snowboarding are wrist injuries. Learn how to fall properly by spreading out impact. Snowboarders have earned a bad reputation among skiers over the years – they often see us as those who sit in the middle of the slope. Maybe you don’t care what skiers think, but for your own safety and safety of others, try to avoid doing this. If you need to stop, stop on the side of the track where other people can clearly see you. Never stop behind the lip or on places where others cannot see you. Get familiar with rules valid for the resort when you are riding. Not only they will help you to ride more safely, it’s good to know them when something happens and people start to argue about whose fault it was. Use your common sense and see beyond rules. It’s a general rule that the skier or rider behind you is responsible for safely passing you. However, if you are doing wide open carving turns without looking uphill, you are asking for trouble. It’s better to be safe than sorry – always look uphill when crossing the slope to avoid being hit by someone bombing down. It’s easier to look uphill when you are on your toe edge, learn to quickly look over the shoulder when on the heel edge. 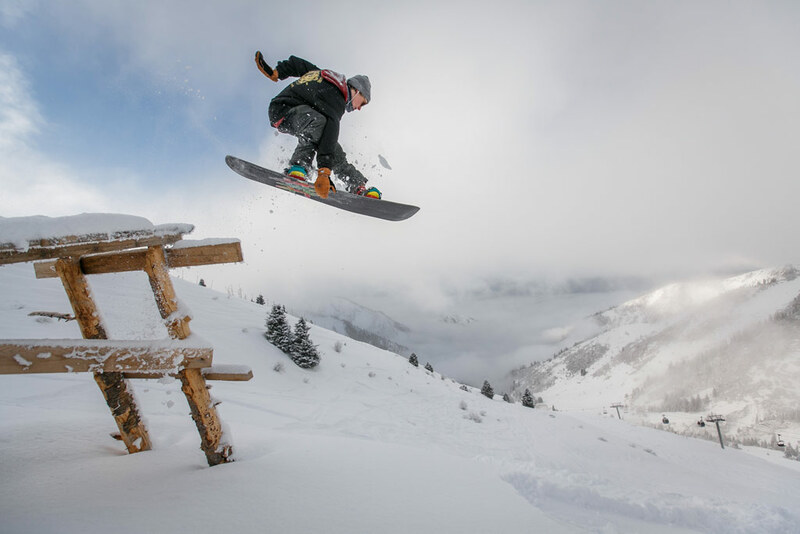 For more info check out What Are The Basic Rules Of Snowboarding? Although you’ve might seen YouTube videos of 2 or 3-year old children snowboarding, snowboarding is harder to grasp for an average child than skiing. While with skis a child can move their feet freely and only need to understand two relatively simple concepts (pizza / french fries), the sideways movement and balance involved in snowboarding is not that natural for small kids. This is partially because their centre of mass is moved towards the head until the age of 8. Like with anything related to sports in small children, play and fun is the key. It’s more about experience than technique. Children are are not able to develop the same skills refinement as adults until the age of 12, anyway. As snowboarding represents one way load on body, it’s important to avoid overdoing it at a young age and devote enough time to compensation exercise or free play which best develops essential motor skills in children. 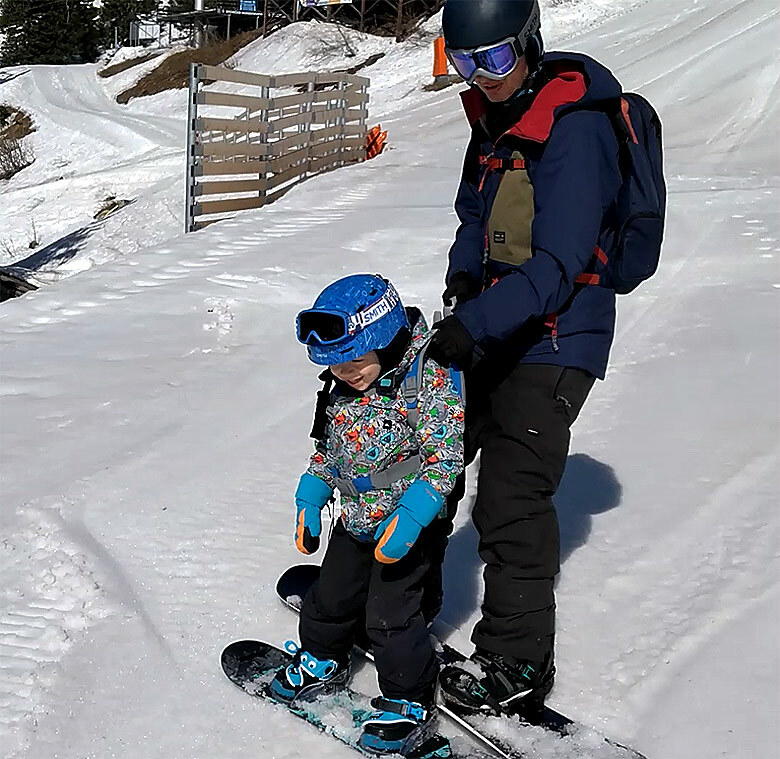 One way to safely experience mountains with your smaller children on a snowboard is using MDXONE snowboard harness which is approved by CASI (Canadian Association of Snowboard Instructors). 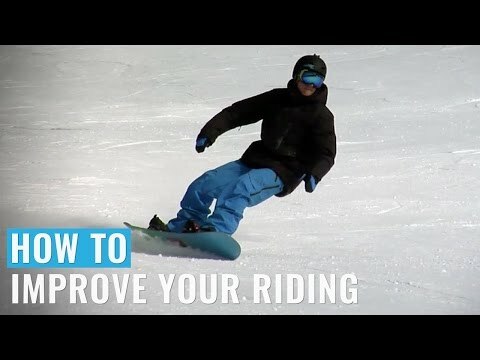 Check out How To Teach Your Kids To Snowboard for more tips on how to snowboard with your children. 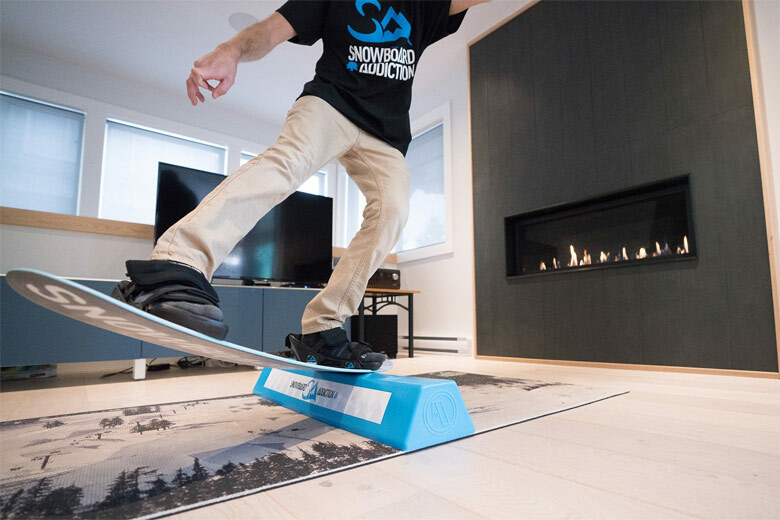 If you took snowboard lessons or followed QuickRide system, chances are that you have already ridden on switch – with your opposite leg forward. Being able to ride switch is necessary if you want to progress to freestyle snowboarding as even some basic trick like 180 end in the switch position. 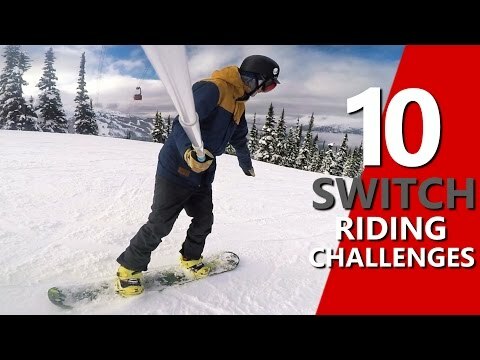 Check out SnowboardProCamp video with 10 switch riding challenges. 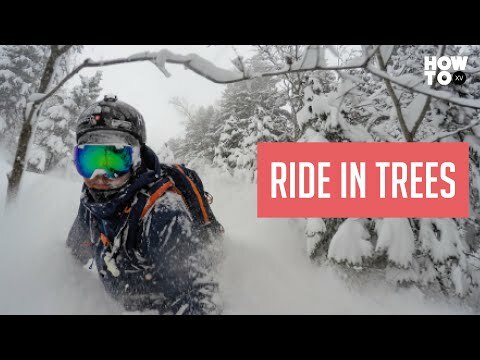 Freeride refers to riding your snowboard in free terrain – it can be a nearby terrain outside the groomed tracks in your local resort, further areas you have to hike to or extreme terrain in the mountains. Freeride snowboarding is mostly associated with riding powder. It’s one of the best feelings you can have on snowboard closely related to snowboarding roots in surfing. 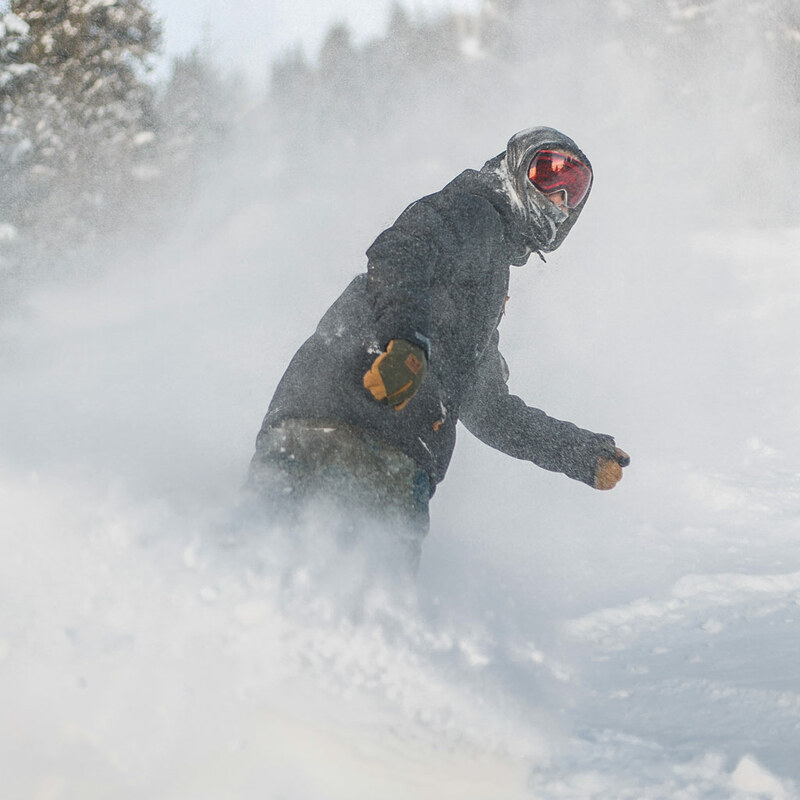 For powder riding it’s crucial that the nose of your snowboard stays on the top of the snow. 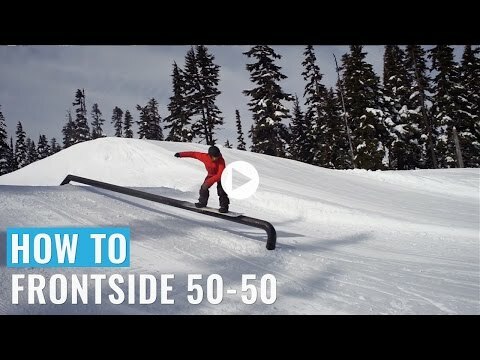 Depending on your snowboard this can be easier or harder to achieve. The easiest way is to ride on a powder specific snowboard with wide rocker nose which naturally stays on the top of the snow and narrow, short tail which sinks down. If you have a twin snowboard you need to weight over your tail more which typically leads to bigger back leg burn. Once you progress to certain level, you can try more advanced forms of freeriding in backcountry. Backcountry areas can be sometimes reached from the resorts but often they require a serious hike. Splitboards are popular for this purpose. Commercial services like cat- and heli skiing are also available. 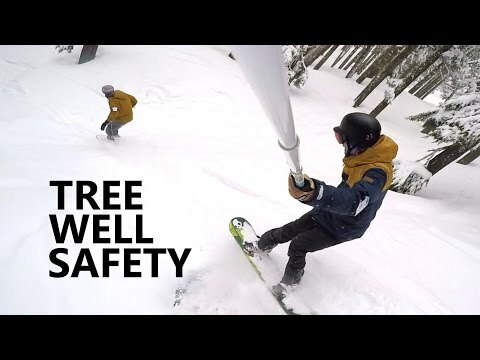 Safety is a huge concern when it comes to freeriding because of the risk of avalanches, tree wells, hitting trees or falling down in the exposed terrain. Tree wells are especially dangerous even for beginners because they can form in the trees in the resort. Never undermine such risk and get all required equipment, training and follow instructions of the mountain rescue. If you are interested in advance freeriding, definitely check out How to series with Xavier De Le Rue. 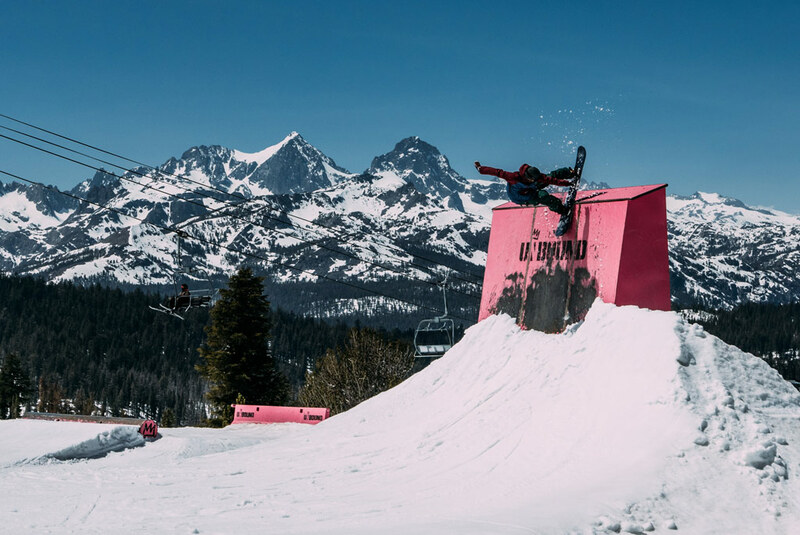 Carving is going through a renaissance in snowboarding nowadays. Many riders who are getting older are not hitting parks that often and are looking for an alternative fun. It’s also been popularized by videos like the Yearning for Turning series from Korua Shapes (a snowboard brand which specializes in carving snowboards for soft boots). Carving means that you ride through the turns only on edges of your snowboard and leave a thin line behind you (as opposite to sliding turns). 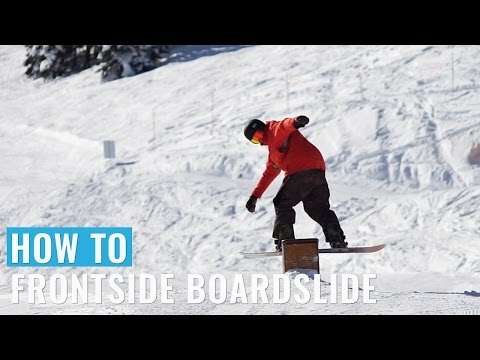 Check out the following video from Snowboard Addiction to learn carving basics. wider snowboards are also better for carving because you typically have less toe and heel overhang on them. The lower you get in the carve, the closer your toes or heels get to the snow and you risk a “boot out” – your boot digs to the snow and the edge loses contact with the snow. 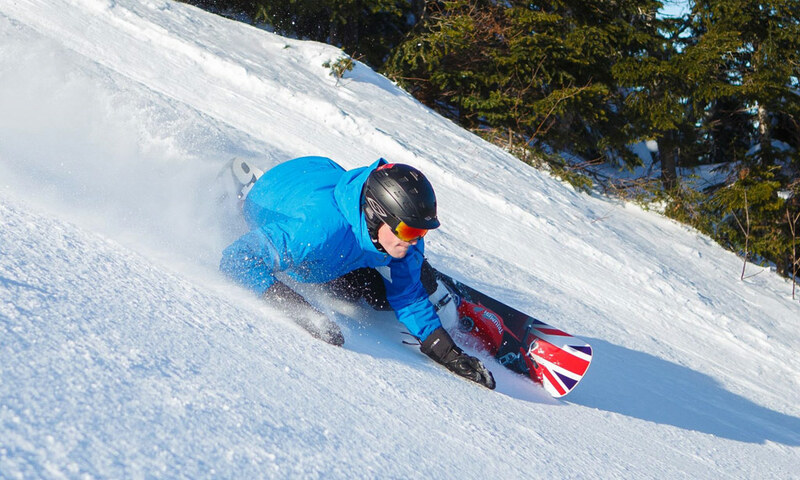 When carving always pay attention to safety – you are doing wider turns which require more space so look uphill during your turns. For more information and tips on carving check out Ryan’s Knapton YouTube channel. Freestyle is the most creative part of snowboarding and is an endless source of inspiration for your progress. 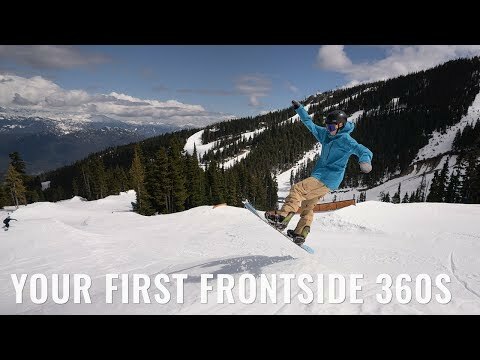 If you’d like to get better at snowboarding in general, you should incorporate freestyle into it early because it will improve your balance and overall riding competence. Wear additional protective gear if you just start with freestyle snowboarding or any time you learn a new trick. You don’t have to go to a snow park to start with freestyle, you can practice many freestyle tricks on the slope. These are called flat-ground tricks and the basic one is ollie. Ollie is the basic freestyle trick and foundation of many other tricks. You shift your weight over the back leg and load the tail of your snowboard like a spring. Then pop from it and bring your knees to the chest. It needs to be one fluid motion. 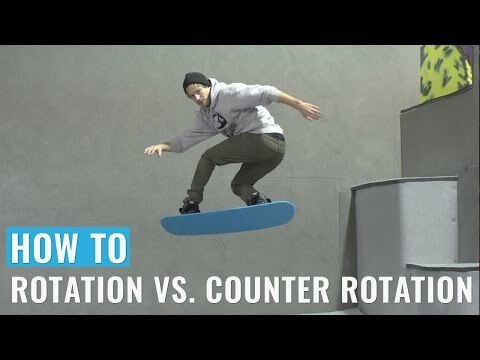 Before you move on, you should understand how rotation and counter rotation works on a snowboard because they are part of almost all other snowboard tricks. Butters are fun and stylish flatground tricks. Usually they consist of pressing nose or tail of your snowboard and spinning around in certain way (hence the name, because of the movement being reminiscent of spreading butter). Buttering is also a good preparation for jibbing because many jibbing tricks have their flat ground counterpart. 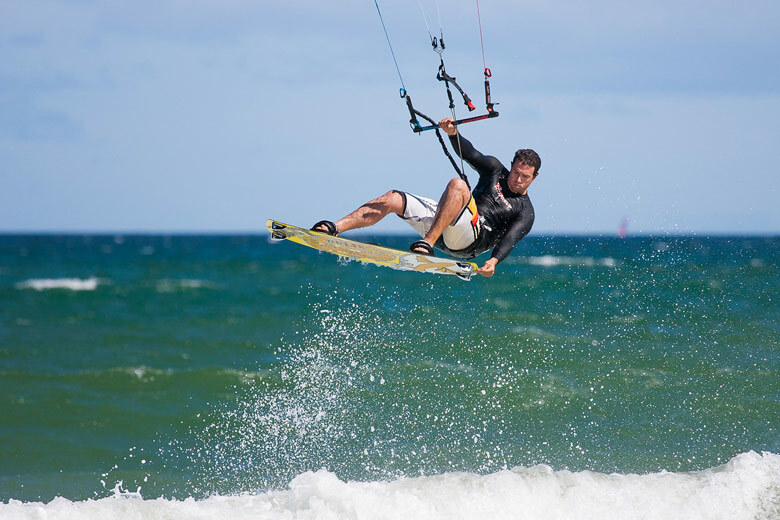 Start with the basic buttering position and tailpress and nosepress. Some don’t call these butters because they don’t involve spinning but they are basic building blocks of all other butter tricks. 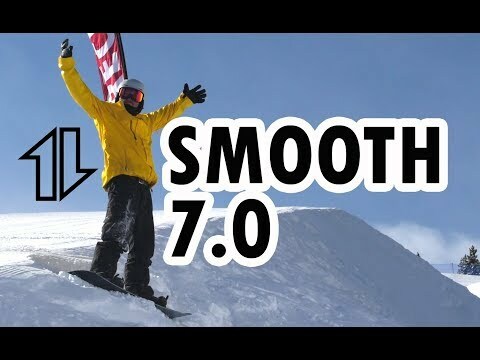 Check out Snowboard Addiction’s buttering trick playlist for many variations of butter tricks. It’s easier to butter on softer snowboards, just in case you wonder why you may have trouble doing butters on a stiff, freeride board. 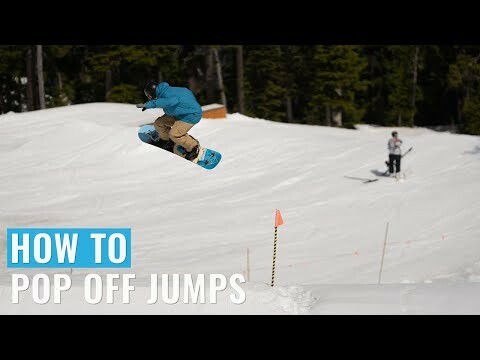 Jumping on a snowboard is the next logical progression when you get more control over your snowboard on the flat ground. It can be tempting but also intimidating for beginners – start easy and move your way up through the following Snowboard Addiction tutorials. Jibbing is the most technical form of freestyle snowboarding. It means sliding with your snowboard on boxes or handrails. 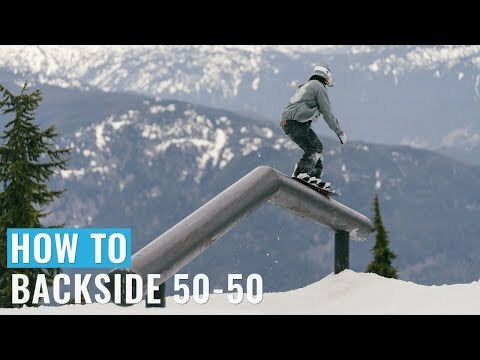 You can slide on these features with snowboard parallel to them (50-50) or perpendicular (boardslides) or combine them in various ways. You can jump to and out of the features using rotation and counter rotation and use presses. This creates endless combinations. Follow along these tutorials to start your jibbing training. How do you stay fit or even develop your snowboarding skills outside the winter season? Here are a few tips. Snowboard Addiction offers unique training gear for the off season training – jib board and balance bar for training jib tricks and tramp board for training jumps in trampoline. You can use them with training bindings. Skateboarding and snowboarding have much in common – balanced position, sideways movement, tricks. Many pro snowboarders are also very good skateboarders. 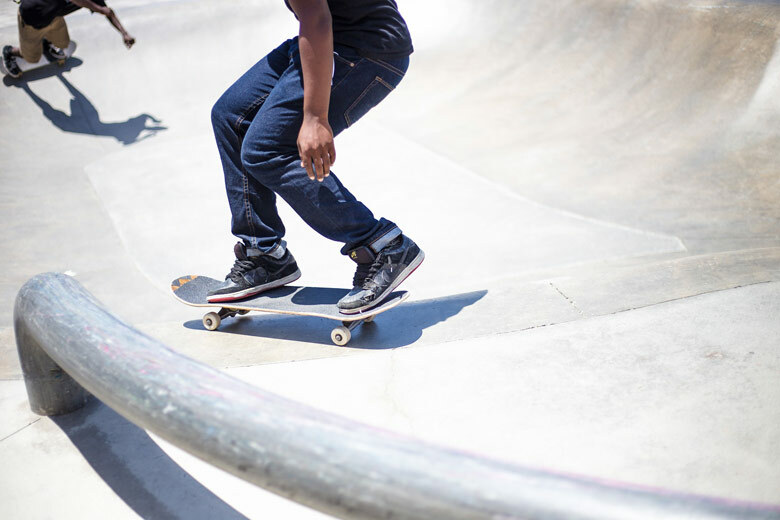 Skateboarding is more technical and challenging as it requires you to push to move forward (unless you ride an electric skateboard, of course). Nevertheless, it’s an excellent and the most affordable preparation for snowboarding during summer. If you are lucky enough that you can practice some of the water board sports related to snowboarding, definitely give them a try. Snowboarding specific workout should focus on increasing your mobility and flexibility, functional and explosive strength and endurance of your core muscles and legs. Don’t forget appropriate upper body workouts. Examples of training that cover these areas can be calisthenics, parkour, street workout or weight training. In general, staying physically active during the whole year through any activity (strength training, running, swimming, hiking, cycling) is also a good preparation for snowboarding season, especially as you get older. 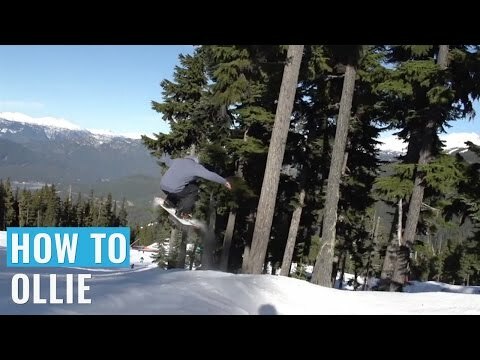 Snowboard Addiction offers paid tutorials but their YouTube channel contains a lot of videos with free tutorials and tips. 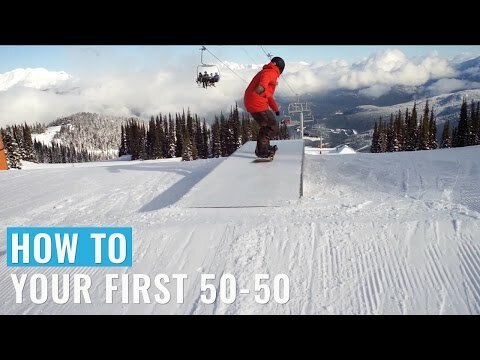 The most popular YouTube snowboarding channel with more than 350k subscribers oriented on beginners and intermediate riders. They have a lot of tutorials and practical tips, vlogs and regular gear reviews. Ryan Knapton is a carving guru so if you are into carving, don’t miss his channel. 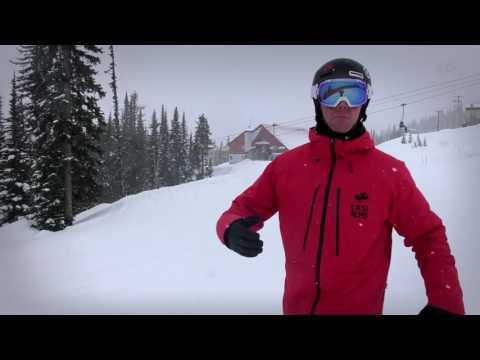 Snowboarding veterans with a lot of insight into snowboarding and snowboarding industry. The channel publishes gear reviews regularly. 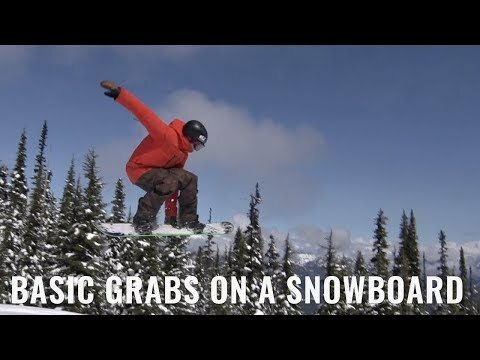 Snowboarding clips, full movies, gear reviews. Snowboarding is for everyone and it’s never too late to start with it – maybe you will find a new passion in your life. Snowboarding is also yours. It means that it’s only up to you what form and shape you give to your riding. Take others as inspiration but find your unique way – there is alway space for progress, no matter what your current level is. 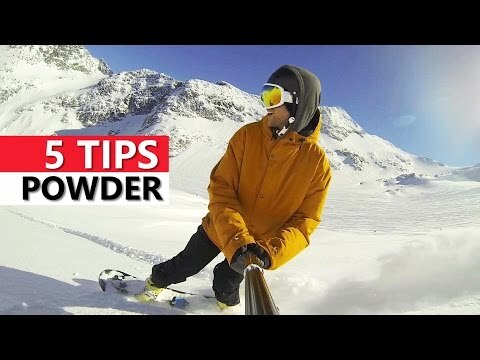 Hopefully, this guide will help you to get faster into snowboarding or provide you with some new perspectives on it if you already snowboard. If you have any suggestions or questions, feel free to post them in the comments. You should try mountainboard for off-season. Word. I clicked in to query to the headline but ended up reading the most comprehensive article on foundation snowboarding I've seen. High5! @gustavo thanks for the tip! 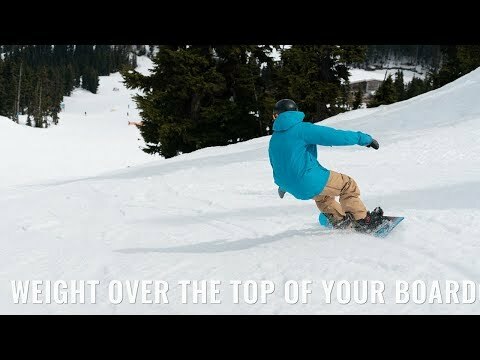 The greatest info on snowboarding I have ever seen! Thank you very much for compiling this!